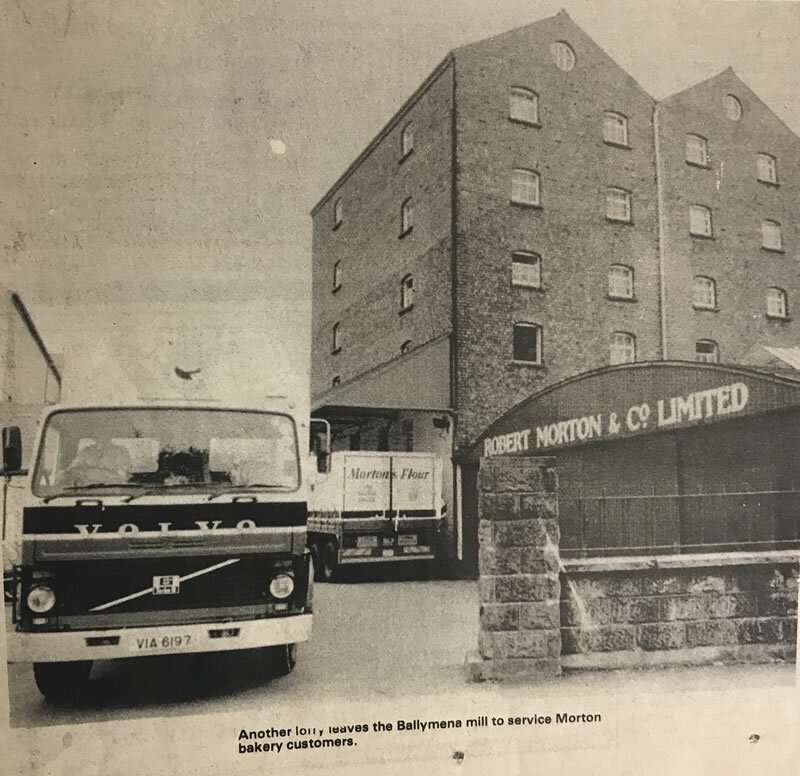 The Mortons Flour story starts in 1835 when a Ballymena farmer Robert Morton purchased an old distillery on the Galgorm Road in Ballymena. Initially the prime focus of the business was to mix and bag animal foodstuffs with horizontal mill stones powered by a water wheel. The flour mill as we know it today was being designed and developed in Hungary in the early 1880’s and by 1895, Robert Morton & Co. had installed a new mill with stands of roller mills to replace the large millstones. Sifters and elevators gradually reduced the wheat to flour. 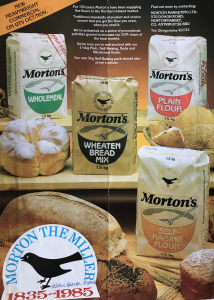 From this time, the famous Mortons flour brand began to develop into what it is today. 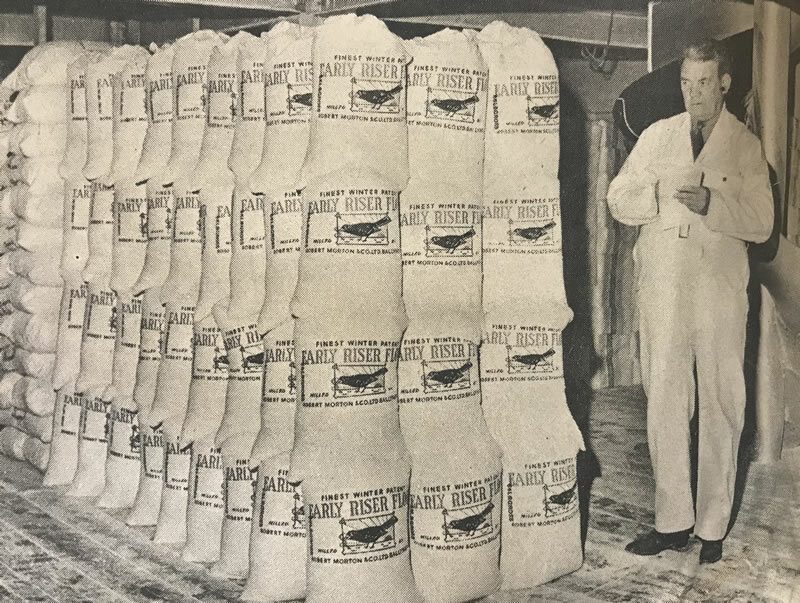 Mortons Early Riser flour was a staple in most households during the early 20th Century. This flour was packed into 50lb sacks that became almost as famous as the flour itself. Many people fondly remember washing these sacks and reusing them as tablecloths, bed sheets or dresses. 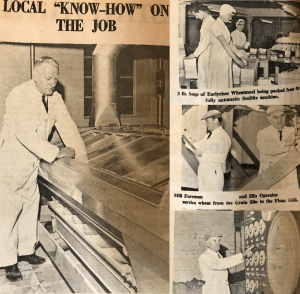 In the 1950’s the new paper packaging was introduced. This allowed the first automated packaging machines to be introduced to the mill. 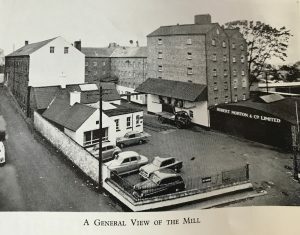 The mill also went through an expansion phase where it had to build upwards rather than outwards on their 1.5 acre plot in the centre of Ballymena. Complete reconstruction of the mill took place and was completed by 1961. The reconstruction took three weeks and included the renewal and overhaul of the roller floor, the supersifters, cyclones and airseals, the agitators and purifiers, and the pneumatic system. Metrication was introduced and the 3lb and 6lb pack weights became the 1.5kg and 3kg packs as we know today. 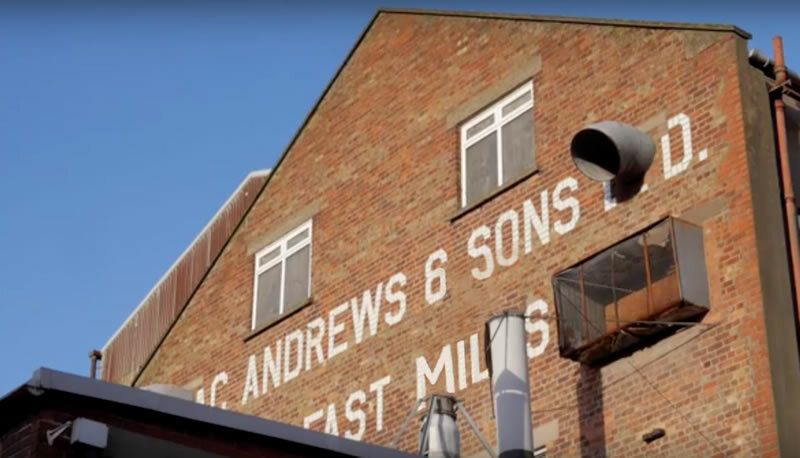 Mortons Mill in Ballymena was closed and the Mortons brand was bought over by Andrews Flour Mills on Percy Street in Belfast. The Mortons brand continued to be milled using the same techniques and milling practices. In the mid 1990s the Mortons brand went through a significant rebrand. 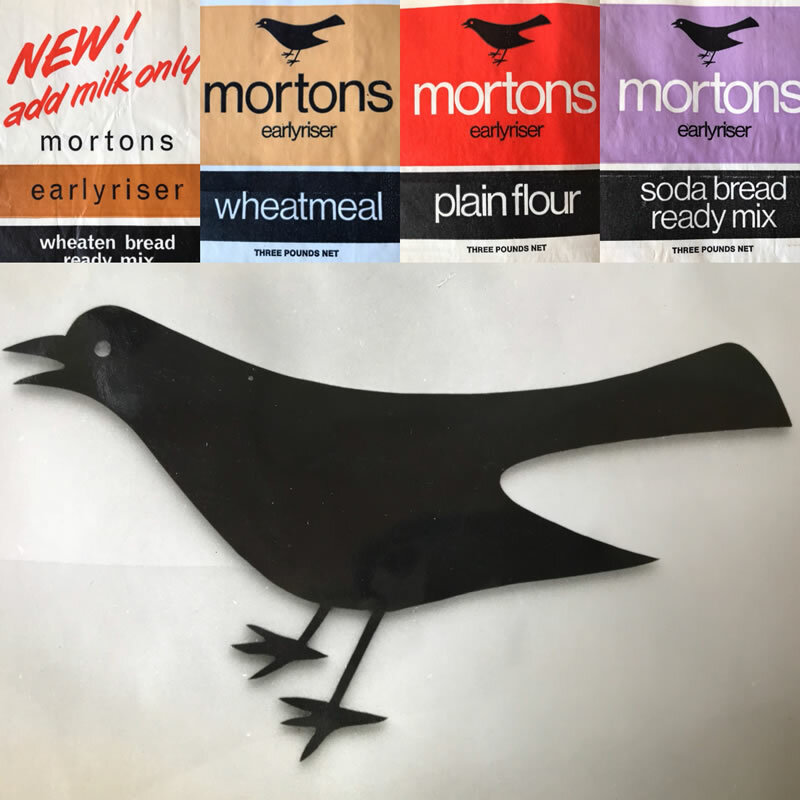 The brand became more colourful and saw the old Mortons black bird become a more friendly, rounded bird. 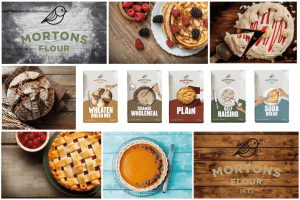 The Mortons brand began the process of rebranding in 2016. The old black bird has been retained but has a much more modern look and feel. These packs were launched onto the shelves in July 2017.